PHD has been announced as a finalist eight times over in the 2018 Internationalist Awards for Innovative Digital Solutions. 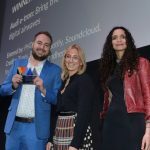 The Internationalist Awards for Innovative Digital Solutions honour outstanding case studies that incorporate great strategy and proven results. This year 211 cases were submitted from 27 different locations worldwide. The finalists represent the top 20% of all entry scores. All campaign finalists are winners, which are then scored for insights, strategy and results, and awarded Bronze, Silver, Gold and Grand Prix at the ceremony on 11 October 2018 in New York City.